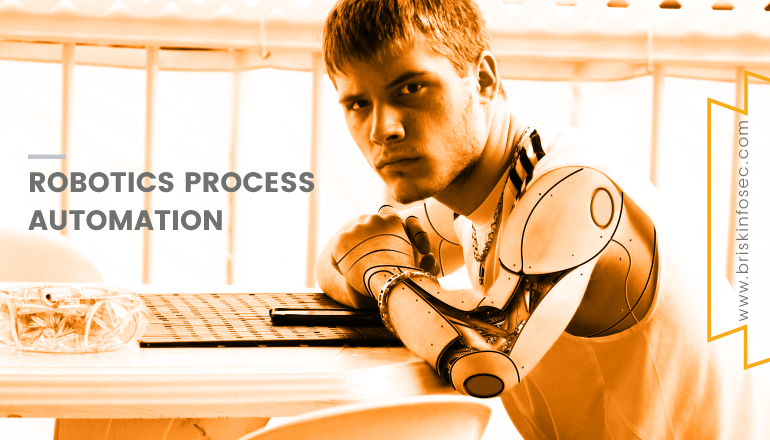 Robotic Process Automation is an improvement of business process automation that allows the organization to automate task, just like how the humans interact with the application and systems. This one is also called as “software robots”, which impersonates the human actions and is also capable of performing the repeatable business process in a larger scale. Since the industrial robots are making the manufacturing process better, RPA would improve the thinking of those robots. With this feature, IT industries now-a-days are adapting to this kind of technology for saving time and human resources. Because of its easily understandable features, even a non-technical employee can handle this software. The next advancement of this technology is to combine this with Artificial Intelligence (AI) for cognitive recognition and machine learning stuff’s. Example is, think of a bot that works directly across the application user interface, mimicking various actions that humans used to do like login or logout the application, formatting the documents, launching software, reading out emails and attachments, filling out forms, etc. In regular automation, the developer would generate a list of operations to be performed or would build a rule and then feed it into the system with the help of an internal API and other dedicated scripts, but RPA will record the user activity from the user interface and will work according to it. So, there is no need to initiate a rule or to interact with back-end system. RPA will interact directly with the users screen and do as the regular users do. As they capture the inputs from the user screen, it can work on any kind of application. It is faster and profitable when compared to other automation tools. Also, it would not disturb or interrupt the existing system or application. As it interacts with user interface, many IT industries use this for client interaction, customer service, etc. AI (Artificial Intelligence) and Machine learning will boost the performance and thinking capability of RPA. Business environment is dynamic because of its ever changing demands, so an organization would use surplus employee and IT technology to make the process faster. In case of a frequent change due to financial and deployment complexity, would create a rift in the process. This will slow down or may stop the entire workflow. To overcome this problem, organization needs to hire a human force to fill the empty space between the workflow. i.e in case of any change in business process, the company needs to hire a new employee to train existing employee on the particular change, and also it is a tedious process that consumes most important resources of life like time and money. With RPA, the company will deploy the virtual workers whom impersonate like an ordinary worker. In case of any change in the business process, just create a few lines of code or make a sample workflow for new process, RPA will continue further. This is cheaper and faster instead of hiring and training new employee. If an ordinary employee can work efficiently for 8 hours, RPA can work for the whole day with increased productivity. Extraction of data comes up with accuracy, effectiveness, and timely report. It cross verifies and validates the data between system and auditing outputs. Allows data migration through systems which is not possible using platforms like word, excel, etc. Updates the statements regularly for predicting any error. In Medical: In Hospitals, it can be used for filling out the patient registration form and billing. HR: In HR, it’s used for creating new employee formalities, payroll process and hiring shortlisted candidates. Telecom: In Telecom, RPA can be used for customer service and for quality reporting. Banking: In Banking, RPA can perform card activation, checks for scam existence, and identifies any susceptible behavior. Government: In Government sector, RPA can be used for verifying residential address for any change, documenting, and for renewal purposes. With increase in the count of cyber-attacks now-a-days, cyber rogues have spearheaded their interest towards these automation software, which originates new threats to the robotic process automation. At present, business environments are adapting to the RPA based technology as a digital strategy for business development. If a robotic automation program is introduced to the workflow, it should consider both the workflow and security risks. Lack of prudent security measures will lead to cyber-attack on those. Data theft: As it directly interacts with the user interface for automation, it may pave the path for the perpetrator to procure access, if he had compromised the RPA. Once the RPA is compromised, instead of working as a software for automation, it will work as a screen logging service. Misuse of privileged access: If an unauthorized user compromised the RPA in higher authority and gave the commands to other RPA, things may go haywire. Denial of service: As RPA is used to perform the repetitive task, a compromised RPA can start an attack on other industries as per the malicious request. Remote code execution: : A vulnerability existing in the software, can provide the attacker a possibility to perform remote code execution. To safeguard RPA from ubiquitous cyber catastrophes, multiple notions like software configuration, users, and the substantial substances of an entire robot must be subjected to consideration. To pave way for the inception of a secured RPA, an implementation must surmount the complete product life cycle amenities, selection, architecture, and its on-going dynamic operations. Sculpting a strategy and security needs for RPA and monitoring compliance with the security policy that would prevent RPA from going haywire. Perform security architecture risk analysis on RPA consistently comprising of bot creation, control and running. Synthesize security scanning tool as a deed of bot creation process to assess codes created in the back end security vulnerability. Scrutinize the bot that has been developed for the detection of any security vulnerability feasibility. Customize user access privileges. Implement dexterous security measures to impede the pilferage of credentials i.e use sign-on with LDAP (Lightweight Directory Access Protocol) authentication, to securely log-in to RPA. Enforce the password consistency across robotic session and prioritize on the robotic identity and access management process, encrypt credential manager to stop exposure. Encompass the log data from bot and then carefully examine the trial of activities, and monitor it cognitively for the presence of malevolent logs. Alleviate the detection and response time for incidents during breach, helping in minimizing the risk exposure to attack. Minimizes the employee turnover due to scarceness in defies or career progression by permitting employee to centralize on higher value tasks. Automatically deploys security controls when flaws are detected, steering towards a state of “reduced attacks surface”. Making decisions quickly, obviously yielding high quality and consistent outcomes. Many of the IT companies are implementing RPA which has reduced the human efforts and cost of investment on this kind of technology. In future, this RPA will be integrated with AI (Artificial Intelligence), cognitive recognition technology and machine learning to make it a better product, but it should be restricted to a level of access. Just think what if it turns to an evil bot with self-learning and exploiting capability? It would become an indestructible threat for organizations. Also due to its working power, speed, and cost effectiveness, it is now widely used in IT industries and is making firms to shift their trust from humans to robots. Our case studies reveal you the type of security assessments, we carried out for our respectable stakeholders. Case studies stand as testify of an organization’s assessment quality. All our stakeholders are happy with our quality because of our excellence in deliverance. Check our Case studies now. Many sites have reports that are worthy to be acknowledged but the hard reality is that, those sites aren’t much familiar to people’s knowledge. Gaining all the requisites from various sites at a single place is much easier, rather than looking indistinctly on the internet for the ones that you actually need. Yes, we do have our own Threatsploit Adversary Report which encompasses various cyber incidents from various places on a monthly basis, in one report. Just a single click on our Threatsploit report, you’ll have what you want. 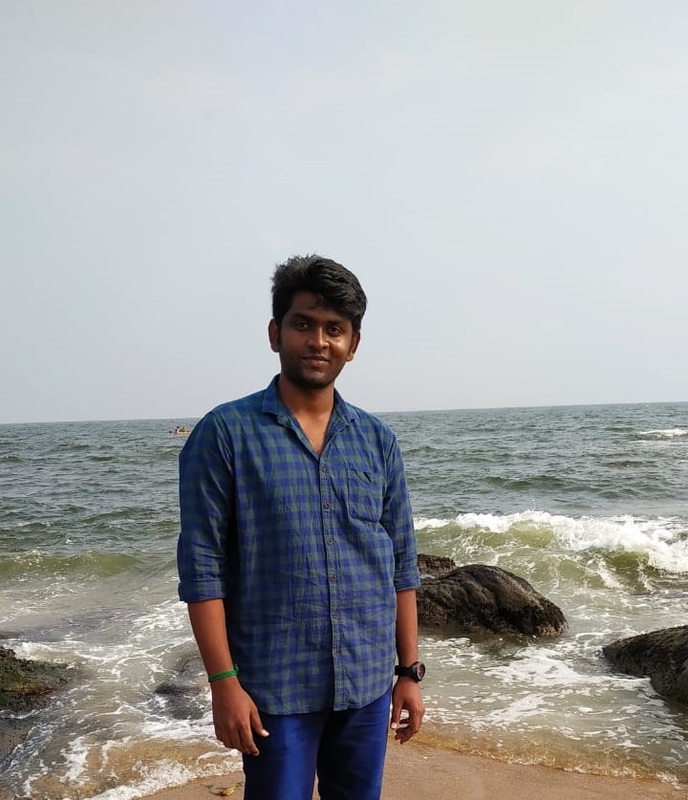 He is a Security engineer having a good knowledge in the field of network penetration testing and also in docker security. He does many CTF challenges and create docker tools and prepares many good blogs.